Wire baskets are so simple and basic, yet they hold infinite crafting possibilities! 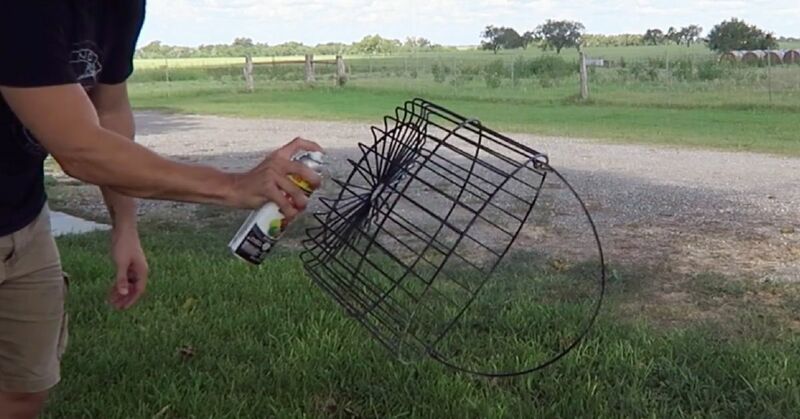 They also vary in size, making it easy to get the right basket for the task. They can provide storage, look purely decorative, or be useful around the house. They also have a shabby, rustic look that elevates any decor scheme and pleases any aesthetic! 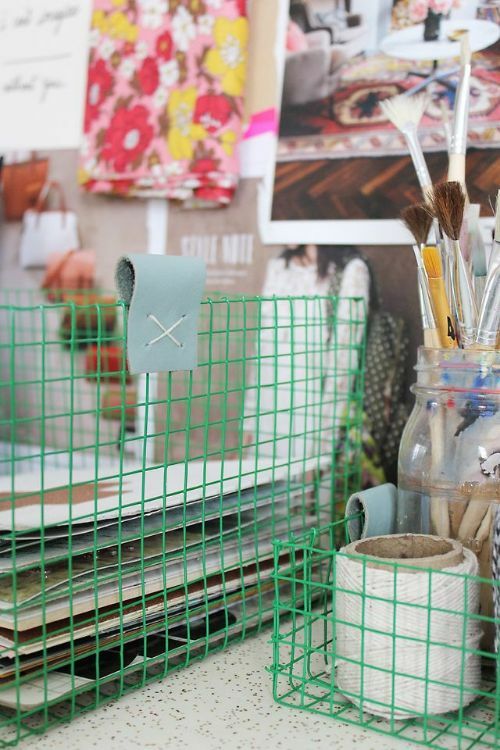 Pick up a few wire baskets and start transforming these overlooked craft supplies today! 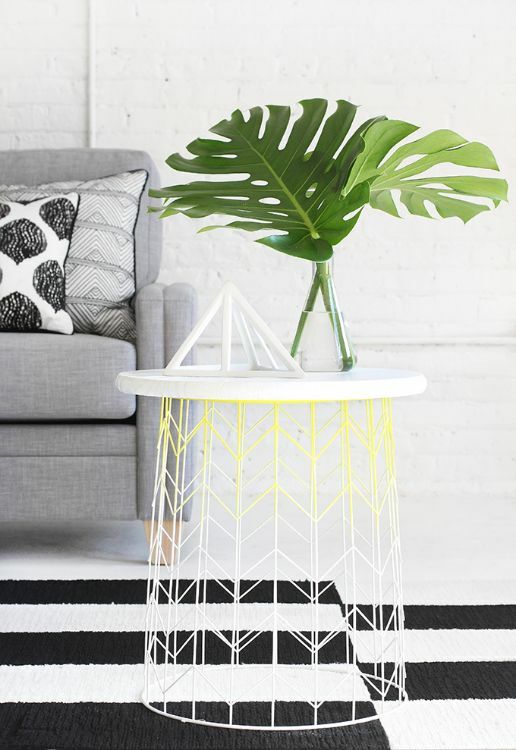 Combine a table top with an upside-down wire basket to create an eye-catching and unique end or coffee table. 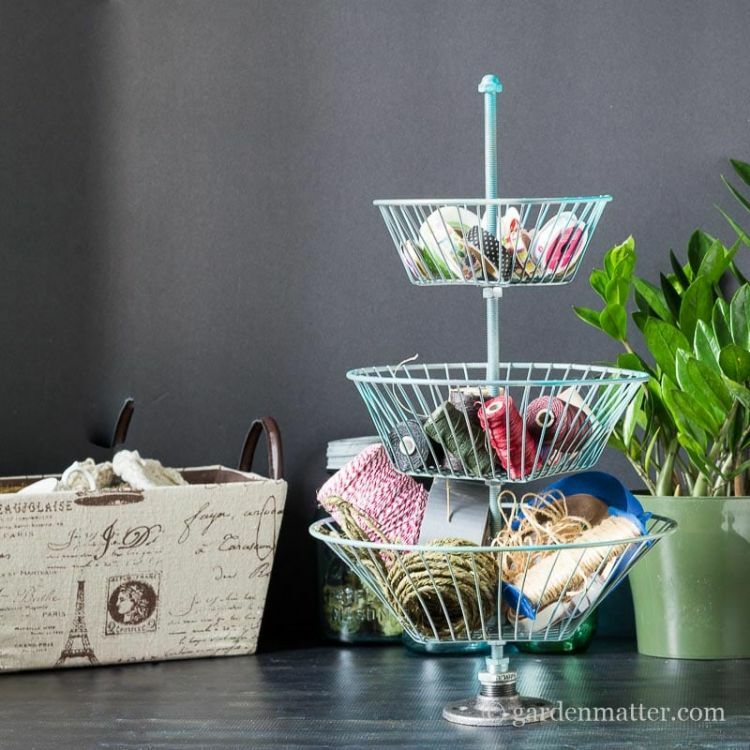 Use small wire baskets to create a tiered stand you can use for craft supplies, kitchen tools or non-perishables, or on your desk. 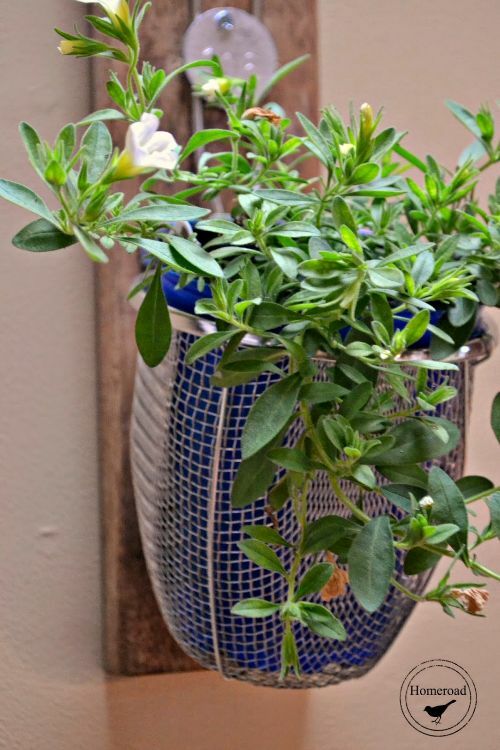 A simple wire basket becomes a chic and homey plant hanger with this easy DIY that gives off a cool combination of the metal basket and beautiful plants to create a neat aesthetic. Make your wire basket put in the work and transform it into a storage compartment on wheels you can use for many applications around the house. 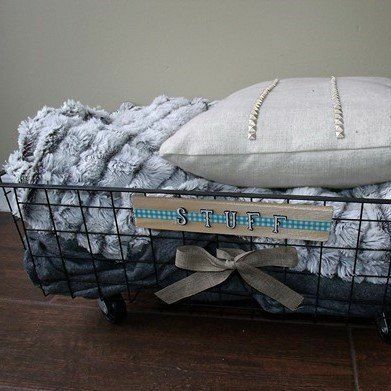 Create, customize, and personalize wire baskets for storage. They're so pretty, you'll want them in sight at all times! Details like a leather handle make baskets chic. Add rope for an interesting twist on a traditional rope basket. 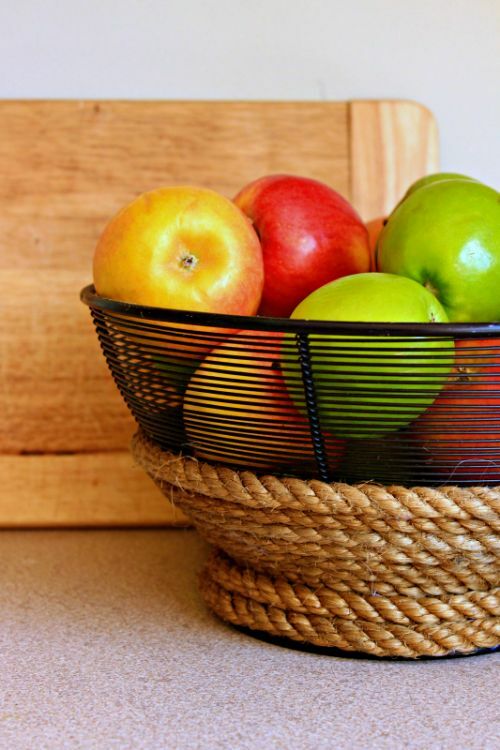 This basket looks right at home on your butcher block or kitchen counter. 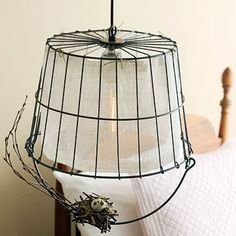 The epitome of shabby chic and industrial flair, using a wire basket for a chandelier is not only inventive but functional.